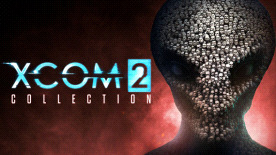 The Tactical Legacy Pack is available for free for all owners of XCOM 2: War of the Chosen until 12:59pm EST on December 3, 2018. • Resistance Warrior Pack: Customize your squad of resistance fighters with a set of bonus outfits and head gear, as well as custom armor and face camo. Instantly unlock a survivor of the old war as a new recruit in your barracks. • Anarchy’s Children: This rebellion-themed content pack introduces more than 100 new exotic customizations for the entire arsenal of armors available to your XCOM soldiers. These options are purely cosmetic and do not alter the stats of a soldier. • Alien Hunters: Transform the soldiers of XCOM into an elite alien hunting squad with impressive new weapons and armor to face off against new alien Rulers that will pursue your squad across an entire campaign. Additional cosmetic upgrades to soldiers and the Avenger are included, as well as a new epic mission where Central Officer Bradford leads a squad with the guidance of an old friend. • Shen’s Last Gift: Investigate ADVENT’s “Lost Towers” facility where Chief Engineer Lily Shen accompanies your squad in search of her late father’s secretive final project. Discover a unique new soldier class complete with powerful new combat abilities, strategy mechanics, and customization options.